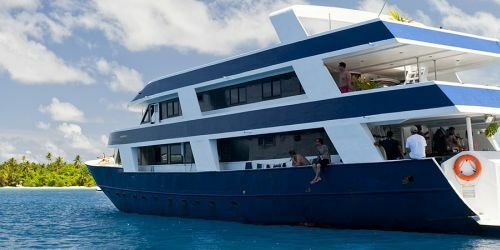 Boat trip package at Gaafu Dhaalu atolls (also called South Atolls or Huvadhoo Atoll), in the Maldives. It is often said that the atoll of Gaafu Dhaalu offers the best wave conditions of the Maldives and with very few or no surfers around! The best time is from March to May and from September to November. Here the swells are more powerful and the spots more exposed than anywhere else in all Maldives. The area of Gaafu Dhaalu offers innumerable breaks, on every island you will find at least one or two spots in the pass, often with no one surfer out! There is any kind of wave, from tubing and vertical to the soft and infinite ones! All meals, drinks, dhoni transfers, airport transfers and domestic flight return Male'/Kaadedhoo are included in the price. 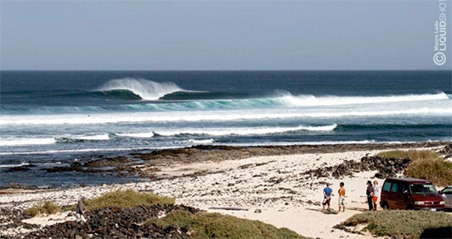 Recommended package for intermediate and advanced surfers. 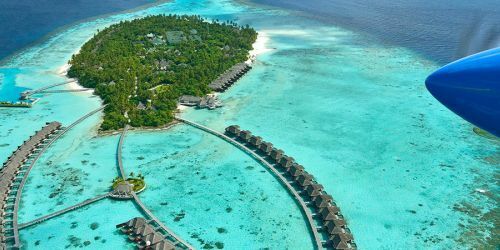 To reach the South Atolls of Maldives, you first need to fly to Male international airport (MLE), normally accessible via Saudi Arabia or Sri Lanka. From Male Airport, take then a domestic flight of about 60 minutes to Kaadedhdhoo Airport (KDM) in Gaafu Dhaalu Atoll (we can book the flight for you, if you prefer). Most nationalities do NOT need a special visa to go to Maldives (30 days on arrival). We always reccommend to check the validity of your passport before travelling (at least 6 months validity from the scheduled return date) and to take various copies of your passport with you, if the original gets lost. There are not good hospital facilities in the South of maldives, only small medical centers, we recommend traveling with an international travel insurance, in the emergency case of helicopter transfer to a bigger hospital. No specific vaccine is required.